Reusable EcoJarz Drinking Jar Lid. The lid that transforms glass jars into travel mugs. Made of FDA approved high-grade silicone. Jar not included. Reusable EcoJarz Drinking Jar Lid. 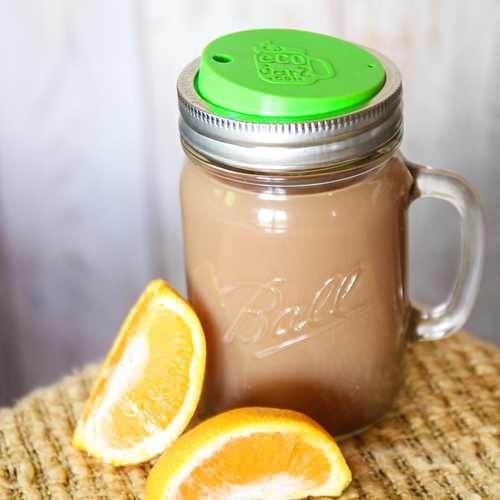 The lid that transforms glass jars into travel mugs. Made of FDA approved high-grade silicone. Jar not included. 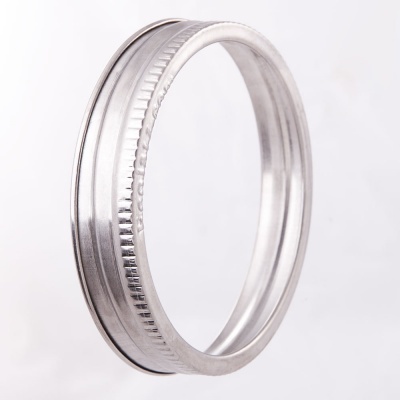 Metal rings are available to fit your regular or wide mouth canning jars, subject to availability. This high-quality EcoJarz Classic silicone drinking jar lid is a sustainable solution that's soft on the lips. Fits on any mason or canning jar turning it into a reusable to-go cup. Together with glass, EcoJarz lids mark the highest standard in no-leach drinking vessels. No BPA, phthalates, or chemical leach. Choose either a lid to fit a regular or wide mouth canning jar, subject to availability. Jar not included. Works with a canning jar with a two-part lid. If you do not have a two-part lid, metal rings are available to fit your regular or wide mouth canning jars, subject to availability. A metal ring (Jar Band) threads onto a glass jar and is necessary to attach an Ecojarz drinking jar lid. It works just like a canning jar lid. If you already have a jar band(metal ring) you are good to go, but if not you can add one to your order for just Œ£1, see below. This silicone drinking jar lid is made entirely of FDA approved, high-grade silicone. Lids are non-reactive and can be used with hot or cold beverages without any worry of chemical leach. Please use a heatproof cover on your glass jar when drinking a hot drink to protect your hand from heat. They are completely BPA and phthalate free. 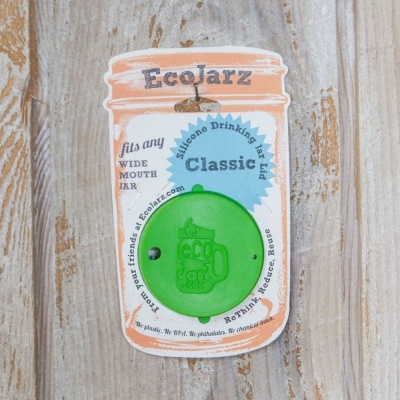 We recommend washing your new Ecojarz lid thoroughly with soap and water before use. No: BPA, phthalates, or chemical leach and plastic Free! Packaging is made from Recycled Paper. Boobalou is an EcoJarz UK stockiest.